On 28 April 2011, the Japanese Supreme Court ruled that a term extension can be allowed for a patent covering a subsequent therapeutic product based on the same active ingredient as a product having an earlier regulatory approval date. This decision further confirms that the approach taken in Australia is at odds with many of the nation’s major trading partners. We have written previously about pharmaceutical extensions of term (see Pharmaceutical Extensions and International Inequities). The basic principle is simple enough – where a patentee experiences delays in its ability to exploit a patent due to the requirements of obtaining regulatory approval (e.g. permission to market a drug for treatment of humans), it may apply for an extension to the normal 20-year patent term as whole or partial compensation for such delays. To prevent the patentee from unfairly extending its monopoly, there are restrictions on the grant of an extension of term. In particular, it is generally the case that an extension is only available on the basis of the first inclusion of a therapeutic product on the relevant register. Thus a subsequent patent, directed perhaps to some variation, improvement, or new delivery method, might not be eligible for extension if the active ingredient had previously been registered in its own right. The recent Japanese decision appears to adopt a more lenient approach to such restrictions than is currently the case in Australia, and seems more in line with the US approach. Visa contended that the CardinalCommerce claims lacked novelty and/or inventive step in view of two prior authentication systems – Active Access / Active Merchant and Secure Suite – and payment gateways that were well-known at the priority date of 12 June 2002. Visa also contended that the claims did not define a ‘manner of manufacture’, i.e. were not for patentable subject matter. Hearing Officer Matt Kraefft found that the evidence did not support a conclusion that the claimed invention lacked novelty, nor that it was obvious at the priority date. He also found that ‘claims clearly relate to supporting authentication processing of on-line commercial transactions involving several physical steps in a networked environment’, and satisfied the requirements for a manner of manufacture. whether documents that were not confidential, but may have had only a limited distribution, could be considered as the foundation for a lack of inventive step (they could not). On 12 May 2011, the Federal Executive Council made the Intellectual Property Legislation Amendment Regulations 2011 (No. 1). 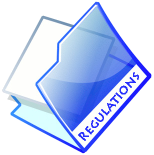 The Regulations amend the Patents Regulations 1991, Trade Marks Regulations 1995, Designs Regulations 2004, Plant Breeder’s Rights Regulations 1994, and the Olympic Insignia Protection Regulations 1993.
certain formal requirements for the layout of patent specifications will be aligned more closely with the corresponding PCT Rules – in particular, type will be required to be 1 ½ spaced, and paragraph and/or line numbering will no longer be required. The amendments will come into effect from 1 July 2011. Further details of the three changes highlighted above are set out below. 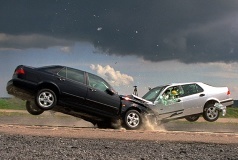 IP Australia on Collision Course with Private Practitioners? Last week the Director General of IP Australia, Philip Noonan, gave a presentation at the conference 'Perspectives on Metrics-Based Research Evaluation – Two Years On', held at the University of Queensland. The presentation was entitled The hidden value of patent information: What can universities learn? In it, Mr Noonan described the features and benefits of ‘patent analytics’, and set out IP Australia’s plans for a ‘National Patent Analytics Pilot’. A copy of the presentation slides is available from the conference website. Mr Noonan’s comments have also been reported in The Australian newspaper. IP Australia obviously subscribes to commercial patent information services to support its patent searching and examination activities. We have been hearing whispers for some time that it would like to extract additional value (and revenue) from these subscriptions by providing additional intelligence services, such as patent analytics. The National Patent Analytics Pilot appears to be an example of such a service. However, this clearly raises questions about the proper role of a government authority in offering ‘value-added’ services that potentially compete with private enterprise providers. IP Australia’s core task is to administer statutes (e.g. the Patents Act 1990, Trade Marks Act 1995 and Designs Act 2003) relating to IP, and to grant exclusive IP rights for defined periods of time in accordance with those statutes. It also has responsibilities in shaping IP policy. 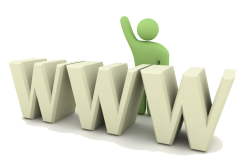 It is not at all clear, however, that IP Australia should be getting involved in providing services that are already available from commercial service providers on a competitive basis. And if it is going to become a player in this market, the existing providers may have a legitimate concern as to whether IP Australia’s services will be offered on a truly competitive basis, considering that it already has essentially all of the resources and infrastructure necessary – funded from its core activities – to provide these services. In this article, we will therefore delve more deeply into ‘patent analytics’, and the potential concerns in relation to IP Australia’s proposed pilot program and future activities. John D Smith is an inventor and a good, old-fashioned, entrepreneur who believes in the power of the individual to take a good idea from conception to market, to the mutual benefit of the consumer – who gets a new or better product – and the inventor – who gets the personal satisfaction and financial rewards of running a successful business. In other words, all Smith is really asking for is his share of the American Dream. It is, perhaps, easier for those of us living outside the United States to perceive the potential damage wrought by this national ethos of freedom, prosperity and success. From a distance, we can see that the promise is just too great to deliver on the expectations it creates, and so some degree of disappointment, disillusionment and bitterness is an almost inevitable consequence when the dream meets reality. The US patent system has its own place within the national psyche. It is timely to examine this now, as the US Congress considers legislation to reform the system in a number of respects, but most controversially to replace the ‘first-to-invent’ principle with a ‘first-inventor-to-file’ approach more closely aligned with the rest of the world. It is said by some that this unique feature of the US patent law finds its origins in the articles of the Constitution upon which the Nation was founded, and that placing the individual at the heart of the system, as the source of all innovation, has contributed to America’s great economic and cultural success. This may seem somewhat philosophical, but it actually does matter. If it is true that the current system provides better support for individuals and small enterprises to successfully commercialise their inventions, then the proposed reforms may indeed be harmful. But if, on the other hand, the notion of a patent system that supports, protects and nurtures the individual inventor is just one more myth waiting to be busted, then the arguments in favour of reform almost certainly outweigh those against. The story that Smith tells in his book Don’t File A Patent is therefore one that should be read by inventors, patent attorneys, legislators, policy makers, patent examiners, patent office officials, and anybody else with more than a passing interest in how the US patent system really works. Smith’s disillusionment and bitterness are, at times, palpable as you read this book. 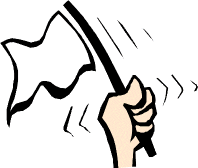 However, his reactions are entirely understandable, and have not prevented him from writing a book that is informative and readable – even, in places, downright entertaining and almost laugh-out-loud funny (such as his ‘Office Action Rejection Wheel’). 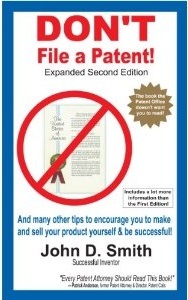 Nor have they prevented him from devoting more than half of the book to practical and positive advice on what to do with the time, money and energy you will save by not filing a patent application. European-based IP law firm, Taylor Wessing, has released its third Global Intellectual Property Index (GIPI) report, which rates 24 jurisdictions according to their support for obtaining, exploiting, enforcing and challenging IP rights. According to the GIPI report, which is available free for download (subject to registration), Australia ranks third in the world, after Germany and the UK, and ahead of the USA, Canada and the Netherlands, which round out ‘tier 1’. New Zealand comes in at number 11, just scraping into ‘tier 2’. At the bottom of the list, in ‘tier 5’, are Brazil, China and India. This is all very well, but what (if anything) does it all mean? In this article we take a look at just one aspect of the GIPI – the patent index – in which Australia also happens to rank third. Attorneys Beware – Hospitalisation, Holidays No Excuse for Delay! We have written previously on the difficulties faced by the Australian Patent Office in keeping opposition proceedings on-track, in view of the restraints imposed by the Federal Court on refusing requests for extensions of time under the current provisions (see Proceedings in Other Jurisdictions No Excuse for Delay). Thus, although it is not mandatory to provide a satisfactory explanation in order to be granted an extension of time, it is generally necessary to provide some explanation for the delay. And, even though the Office may ultimately grant an extension, after taking all of the relevant factors into account, it may nonetheless clearly indicate that the explanation provided is unsatisfactory. This decision by Delegate Greg Powell is a case in point. These types of decisions may take on more significance in the future, in providing guidance as to the circumstances in which it might be considered appropriate to grant extensions of time. IP Australia’s reform agenda includes making amendments to the Patents Regulations 1991 which would prevent the grant of extensions of time in oppositions unless the Commissioner were satisfied that it is warranted in the circumstances (see IP Australia’s consultation paper Resolving Patent Opposition Proceedings Faster, pp. 12-13). This change would make the explanation for any delay the primary consideration in deciding whether or not to grant an extension of time. A semi-regular round-up of breaking news, current events and brief comments. For over a decade, the infamous Amazon ‘1-click’ ordering patent has courted controversy, and it continues to do so. Its US incarnation, patent no. 5,960,411, was subjected to re-examination following a request filed by New Zealander Peter Calveley, but survived with only a slight narrowing to the scope of its claims. Its Canadian counterpart, application no. 2,246,933, was rejected by the Patent Appeal Board on the ground that it did not claim legitimate statutory subject matter, however Amazon successfully appealed this decision in the Federal Court of Canada (see Business Methods Patentable (Again) in Canada). Despite widespread disbelief and disgruntlement, felt particularly by section of the software development community, the novelty and nonobviousness (i.e. inventive step) of the ‘1-click’ ordering invention has yet to be successfully challenged. Even a US$10,000 ‘bounty’, to be awarded to anybody bringing forward prior art that would invalidate the Amazon claims, failed to produce a significant challenge to the patent. While the main battleground has been North America, for the last eight years a dispute has been quietly simmering away here in Australia over the local counterpart to the ‘1-click’ ordering patent. Australian application no 94779/98 resulted from the national phase of Amazon’s international patent application no. PCT/US1998/018926, filed on 10 September 1998, and claiming priority from earlier US applications filed on 12 September 1997 and 23 March 1998. The application passed examination, and was advertised accepted on 19 June 2003 under the prospective Australian patent no. 762175. On 19 September 2003, Telstra Corporation Limited (Telstra) filed a Notice of Opposition to the grant of patent no. 762175. Thus began an opposition proceeding that would eventually last for nearly eight years. A decision in the opposition finally issued on 9 May 2011. While Telstra has achieved some small level of success – Hearing Officer Ed Knock finding claim 1, 2 and 4 to 61 (out of 141 claims in total) to be invalid – the claims that have survived the Australian opposition are, to our knowledge, the broadest of any of the ‘1-click’ patent family members. For all practical purposes, after years of proceedings and (no doubt) tens of thousands of dollars in costs (at least), Telstra has gained no meaningful freedom-to-operate out of the opposition. Professor Andrew Christie, who holds the Davies Collison Cave Chair of Intellectual Property at the University of Melbourne Law School, has been touring the country with his seminar Beyond Genes: What should and should not be patented and how to tell the difference. We were present at a packed house in Melbourne last week, and found it to be a most thought-provoking presentation. The Bill does too little in the sense that it does not achieve its primary stated aim [i.e. to reinforce the applicability of a distinction between ‘discovery’ and ‘invention’]. The Bill does too much in the sense that it is likely to have a practical effect beyond (and possibly inconsistent with) its stated aim – i.e. have unintended consequences. However, Professor Christie made it very clear that he believes that many of the key stakeholders in the Australian patent system – including members of the IP professions, such as IP lawyers and patent attorneys – should accept a fair share of the blame for the adverse publicity that the patent system has received in recent months (see, e.g., Review: Four Corners – "Body Corporate" and Gene Patents Back on the Australian Political Agenda), culminating in the introduction of the Patent Amendment (Human Genes and Biological Materials) Bill 2010 into both houses of the Australian parliament. Patentology is now the proud owner (okay… licensee) of our own domain! From now on, you can find us at http://blog.patentology.com.au (or just patentology.com.au). The ‘old’ patentology.blogspot.com address will continue to work, so no need to update your bookmarks if you do not wish to! The changeover broke a few things on the blog, but we think we have managed to fix them all! However, if you find anything that fails to work properly, please let us know by email to patentology@gmail.com. We have recently become aware of a 'renewal scam' being operated by a company calling itself Patent & Trademark Organisation which is apparently operating an office in Melbourne, Australia, although it seems in fact to be a limited liability company (LLC) registered in the US. 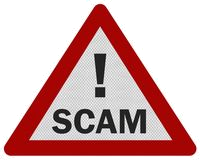 So far, we have only seen evidence of the scam being applied to trade mark renewals, but the company name suggests that it may aspire to 'assist' applicants with obtaining and/or maintaining other registered rights. if the trade mark owner signs and returns the letter, the company pays the renewal fees and sends out an invoice. The Official Fee payable to the Trade Marks Office for renewal of a registration is A$300.00 per class. This means that the Patent & Trademark Organisation is pocketing A$1050.00 for the first class, and A$350.00 for each additional class. These charges are nearly twice those of many full-service patent and trade marks attorney firms, which also maintain records of the registration details, and act as the address for legal service on behalf of the trade mark owner throughout the ten-year period between renewals. Specialist renewal service providers, which do not provide any additional attorney services, are generally even cheaper. This is, therefore, an out-and-out scam, designed to dupe trade mark owners into paying excessive service fees in exchange for little, or no, additional service. But is it actually illegal? the effect of some of IP Australia’s proposed patent law reforms. The issue relates to the so-called ‘whole of contents’ novelty test. While this does not commonly arise, in our own practice we generally see a handful of applications each year where objections are raised on this basis, so it is certainly not insignificant. A ‘whole of contents’ ground of rejection (or invalidity) of a claim arises when an Australian patent application is identified which has an earlier priority date than the claim, but which was not published until after the priority date of the claim. Such an application is not prior art by virtue of publication, however it may represent prior rights by another applicant to claim the same invention. According to the ‘whole of contents’ novelty rule, this type of prior application can be used as the basis for rejection of claim due to lack of novelty, but not for lack of inventive step (or obviousness). During prosecution of applications the usual practice is simply to treat the ‘whole of contents’ reference just as any other prior art document for novelty purposes, but to disregard it for the purposes of assessing inventive step. However, according to Justice Bennett this approach is a form of ‘shortcut’ that is not legitimate under the current law. Rather, in order to establish lack of novelty on a ‘whole of contents’ basis, it is first necessary to establish that a valid ‘notional claim’ can be drafted in relation to the prior application that encompasses the information relied upon for the ‘whole of contents’ objection. One of our readers was most anxious to ensure that we did not miss this decision – a couple of weeks ago we received an anonymous tip via our ‘Questions’ form to keep an eye on patent application no. 2004288607, followed up with a further tip-off when this decision was published. A method of cultivating plants including the step of harvesting the plant at a time within a period of 5 days prior to a lunar apogee and 5 days after the lunar apogee [i.e. the point at which the moon is at its greatest distance from the earth in its slightly elliptical orbit] in any given cycle. A routine quality review following acceptance resulted in documents being found that had not been considered during examination and which appeared to anticipate the claimed invention in the accepted claims. A re-examination was initiated under section 97(1) of the Patents Act 1990. A re-examination report was issued on 23 April 2010 finding the accepted claims either not novel or not inventive. The preferred embodiment focuses on cannabis and particularly the amount of tetrahydrocannabinol (THC) that is present (i.e. 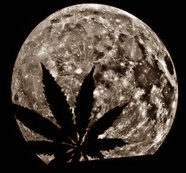 its “potency”) when the plant is harvested. There is also some briefer discussion on the “Stinging Tree” and the “Stinging Nettle” and the potency of their sting, sugar cane with respect to its sugar content and vegetables and herbs generally with regard to taste, flavour and shelf life. It is stated in the specification that these characteristics vary in time with the lunar apogee-perigee-apogee cycle – also known as the “anomalistic cycle”.